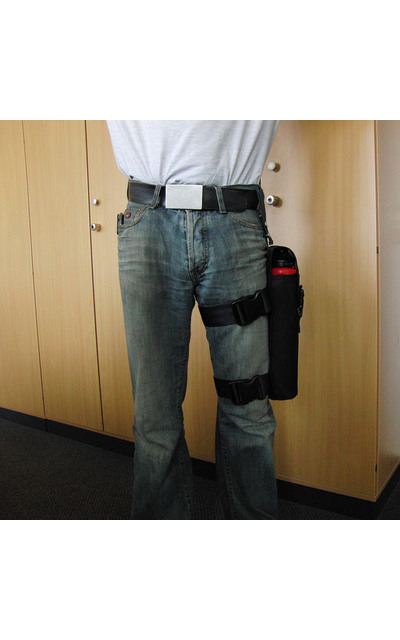 The F-Exx 8.o leg holster is specially made for the F-Exx 8.o fire-extinguishing systems. Through the quick release the extinguishers can be removed quickly, but can also be operated within the holster. 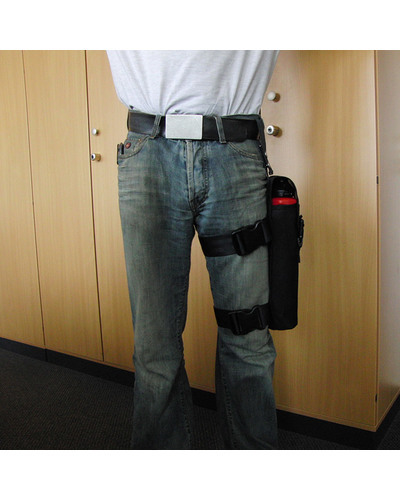 The leg holster allows for easy and safe carrying of the extinguisher on the body, freedom of movement is not restricted. 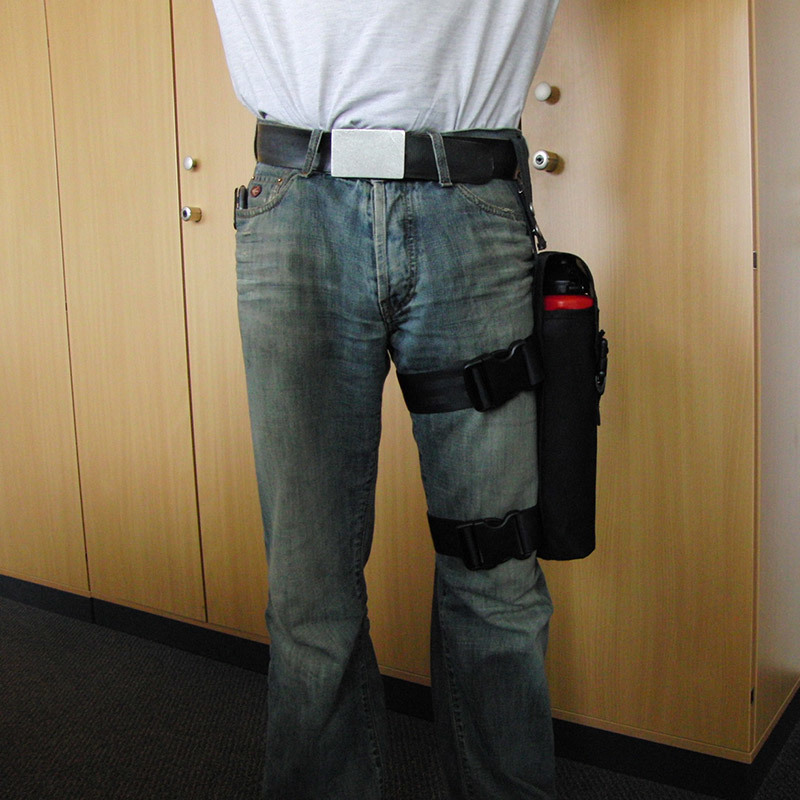 The holster is attached to the belt and can equally be carried on the left or right leg. The fully adjustable leg straps, can be made to fit any thigh circumference. The holster is made of durable, breathable nylon and has a weight of approximately 290g.